Aging. It’s the thing we can’t avoid. It’s the process of life that has both positive and negative aspects. 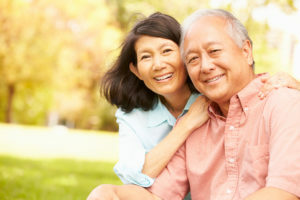 We have learned to look at the advantages of aging as a way to offset the frustration we feel at what we can’t change. For instance, to say that age brings wisdom may make us feel better about getting older. On the other hand, there is also an immense amount of interest in anti-aging treatments that do everything from lift body parts to revive our hormones. Cosmetic dentistry is also popular among the Baby Boomer generation. We understand that appearance is important. However, we also know that older adults may need assistance to protect their smile from extensive and unnecessary damage. There are physical changes that occur directly in the mouth, and there are changes that affect other parts of the body that then indirectly affect oral health. The issues faced by older patients are important to recognize so we can address them appropriately. In our Windsor, Oak Grove, and Warrensburg offices, we dedicate time to get to know each patient so we can help them prolong the health of their smile. One of the changes that occur in the mouth directly, according to one study, is the prevalence of difficult plaque. Plaque is that sticky biofilm that harbors bacteria; the same sticky substance that is related to gum disease and cavities. Research has suggested that we may have to work harder to remove plaque after we reach age 50. The use of medications is something else that often changes as we age. Some of the medications that are commonly sold over-the-counter, or prescribed by doctors, can cause the production of saliva to decrease substantially. Without saliva to moisten the mouth, there is a very real chance of struggling with persistent bad breath. Saliva also dilutes residue and acidity, both connected to cavities and gum disease. Finally, conditions like arthritis can limit how well one brushes their teeth. Holding a toothbrush may be painful, and holding a tiny string of floss may be impossible. If you are starting to experience these or other challenges, contact an office near you. We can discuss how you can improve your daily oral care with simple strategies like using an electric toothbrush. Receive the care you need by calling 660-747-9117.